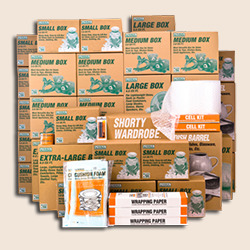 Safe Storage can handle all your Packing Supplies and Storage needs. With over 60 different moving boxes and packing supplies. We're here to help whether your doing it your self or prefer our packers to pack it for you. 3 Self Storage Locations serving Rome, GA. Climate and Non-Climate Controlled units. 8 different sizes for just the right amount of space. I have hired Safe Storage for several of their services. I was very pleased with their services. Safe Storage moved our home contents across state. They arrived at the appointed time to pack our truck and arrived at the new location at the agreed time. Our furniture and contents were not damaged and the movers could not have had better attitudes when they learned many items would go upstairs, Safe Storage stored other furniture for several months. Their storage facility is safe and very clean. They also moved those contents locally. All aspects of each service Safe Storage provided was a great experience. We easily communicated with them, throughout our moves. I will be using them again and would highly recommend them.